Is DRC's latest Ebola outbreak more challenging than the last? Ebola has reared its ugly head again in the Democratic Republic of the Congo. The DRC has dealt with more outbreaks of the disease than any other nation. The battle to contain it comes amid violent conflict and political crises. The Democratic Republic of the Congo recently announced the country's second Ebola outbreak in less than three months – the 10th since the virus was first identified near northern Congo's Ebola river. The news came barely a week after it declared the end to an epidemic in the northwest of the vast country which is also in the middle of political conflict. The outbreak of the deadly virus has killed dozens of people in Ituri and the Beni region of the conflict-ridden North Kivu, bordering Uganda and Rwanda. North Kivu is the stronghold of a notorious Uganda-linked militia called the Allied Democratic Forces (ADF). Results of genetic analysis from INRB #DRC just in: #Ebola Zaire confirmed, sequencing does not demonstrate close linkages with Equateur outbreak strain. Ebola is back but what's different this time? 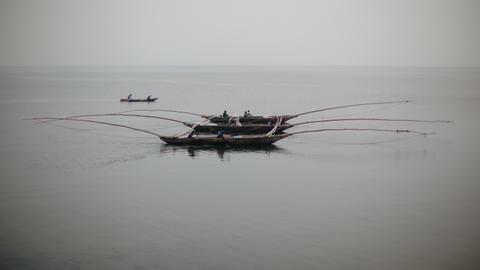 The Ebola "Zaire" strain is affecting North Kivu. Sequencing shows it is unrelated to the Equateur outbreak strain; meaning this is a new outbreak, WHO’s Deputy Director-General Dr Peter Salama said in a tweet. Even “one laboratory-confirmed case of Ebola constitutes an outbreak,” WHO spokesperson Tarik Jasarevic told TRT World. The 2014-2016 epidemic in was fought with help from the World Health Organization (WHO), which rushed in emergency aid, including protective gear, and unlocked $2 million (1.71 million euros) in fast-track financing. So far 103 Ebola virus cases (confirmed and probable), including 63 deaths, have been reported, the WHO said on Twitter on August 24. 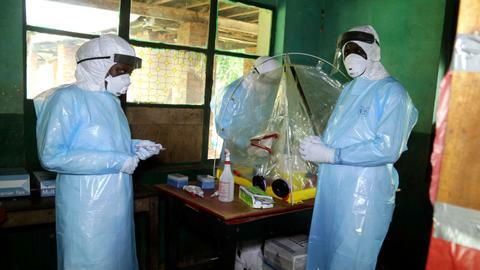 The outbreak is spreading through five health zones in North Kivu province and one health zone in Ituri province, WHO added. How hard will it be to beat Ebola this time? The situation could worsen as the affected areas host over one million displaced people, including refugees, and share borders with Rwanda and Uganda. Refugees leaving the DRC's North Kivu province could spread the virus across borders. Containing the virus might face bigger challenges due to the ongoing fighting between the government and militant groups. Jasarevic told TRT World that the armed conflict makes it harder for WHO to respond to the outbreak. “This makes the response very complex. North Kivu is UN security level 4, which is one of the highest levels of UN security phasing, and even though we have access to the towns of Mangini and Beni, we don’t know to what extent how we will best be able to contact tracing outside those small towns,” he said. And cases have been reported from Beni as well, the WHO said on August 24. 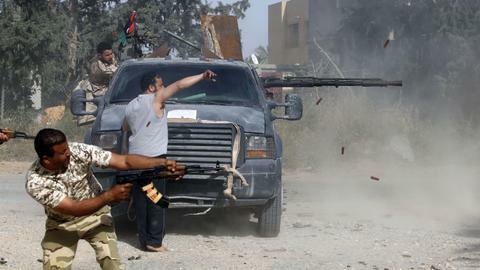 At least 14 people kidnapped by the suspected ADF militia were found in Beni, army and civilian sources said on Tuesday, highlighting the region's volatility. The ADF, active in the east of DRC since 1995, is accused of massacring hundreds of people since 2014 by DRC and the United Nations mission in the DRC. Response to Ebola in the region is further complicated by the presence of other armed groups and DRC army's unrestrained response, the New York University Study Group on Congo said in 2015. “One of the many painful lessons from the devastating West African Ebola epidemic of 2014 was that the world expected much more from the World Health Organization than it was then able to deliver. Since then, we have ensured that the organisation is better prepared,” Jasarevic added. Congolese officials and the World Health Organization began vaccinating health workers with an experimental vaccine on Wednesday, August 9, manufactured by Merck. 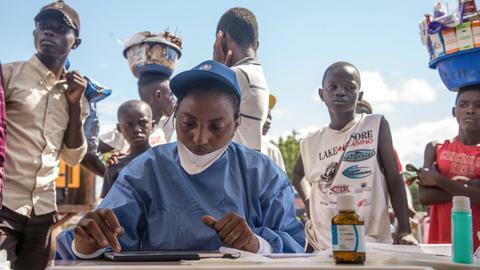 The vaccine which was first used in the tail end of the outbreak during the West Africa epidemic showed positive results when first trialled by the WHO and Doctors without Borders in the DRC in May. The 3,300 people who were vaccinated by the yet unregulated vaccine have as yet not developed Ebola. “The current Ebola outbreak in DRC is caused by Ebola Zaire virus. The WHO Strategic Expert Advisory Group on Immunization (SAGE) recommended in 2017 that if an outbreak of Ebola virus disease is caused by the Zaire strain prior to the approval of the candidate vaccine, the rVSV-ZEBOV vaccine should be rapidly deployed under ‘expanded access’ or ‘compassionate use’, with informed consent and in compliance with good clinical practice,” Jasarevic said. Ebola is a rare and often fatal illness caused by infections by one of five known virus species. Ebola damages blood vessels which leads to a drop in blood pressure causing shock and multiple organ failure and can kill a person in one or two weeks. Symptoms can include fever fatigue, muscle pain, headache and sore throat. Vomiting, diarrhoea, rash, symptoms of impaired kidney and liver function may occur. In extreme cases, the virus causes fatal bleeding from internal organs and orifices. The symptoms start suddenly between two and 21 days after a person is infected. It is often difficult to diagnose Ebola as the disease is hard to distinguish from several other infectious diseases, including malaria, typhoid and meningitis. Highly contagious, Ebola is contracted via direct contact with an infected person’s blood, secretions, organs or other bodily fluids as well as infected surfaces such as clothing. Humans are infected when they come in direct contact with the blood, secretions, organs or other fluids of infected animals, including several primates, fruit bats, forest antelope and porcupines found ill or dead or in rainforests. How did it all start in the Congo? The latest outbreak of the haemorrhagic virus is the 10th in the DRC since 1976. In 1976, the virus was discovered in the north of the country, then called Zaire, and named after a river nearby. That outbreak occurred in the Equateur province, with most cases occurring within 70 kilometres of Yambuku village. It left 280 people dead out of the 318 infected, according to the Centers of Disease Control and Prevention (CDC), the US public health institute based in Atlanta. The possible ground-zero was suspected to be Yambuku Mission Hospital where it was brought in from possibly Sudan where an outbreak had occurred. The disease was then transferred to the village population by unsterilised needles and other equipment. WHO is working with local communities to contain the outbreak by providing vaccinations and the necessary information to residents on how to protect themselves from the virus. Medecins Sans Frontieres is also working on the ground by setting up a 30-bed treatment unit in the town of Mangina as well as an isolation unit in Beni. MSF is providing training on infection prevention and control to the health centres of the surrounding area. The WHO said the organisation received over US$ 459 million in direct and in-kind donations from over 60 donors and most of this funding for Ebola-related activities came from governments and multilateral organisations. The largest donors were the United States of America, the World Bank, the African Development Bank, the Ebola Multi Partner Trust Fund, and Japan.